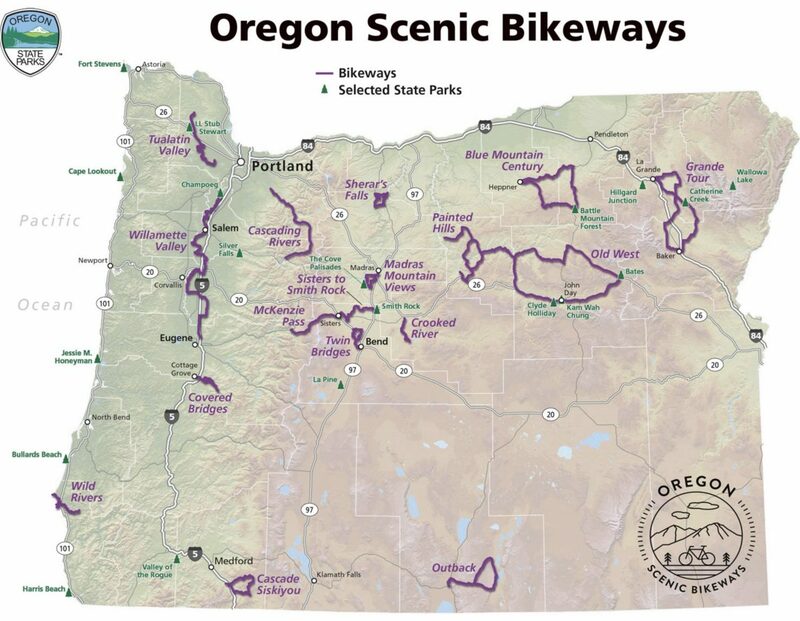 BikePortland.org - Portland Oregon bicycle news, events, culture, and opinion. NE Grand northbound at Broadway. NOTE: Please see updates at end of this story. 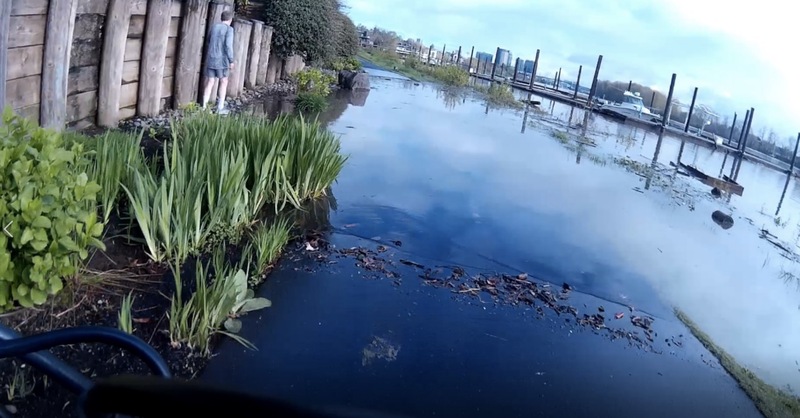 It was originally reported as a bicycle fatality; but we have since confirmed that the woman killed was walking prior to being hit. 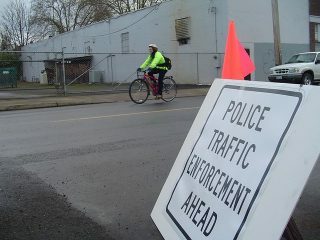 Portland Police say someone has been hit and killed in the area of NE Grand Avenue and Broadway. 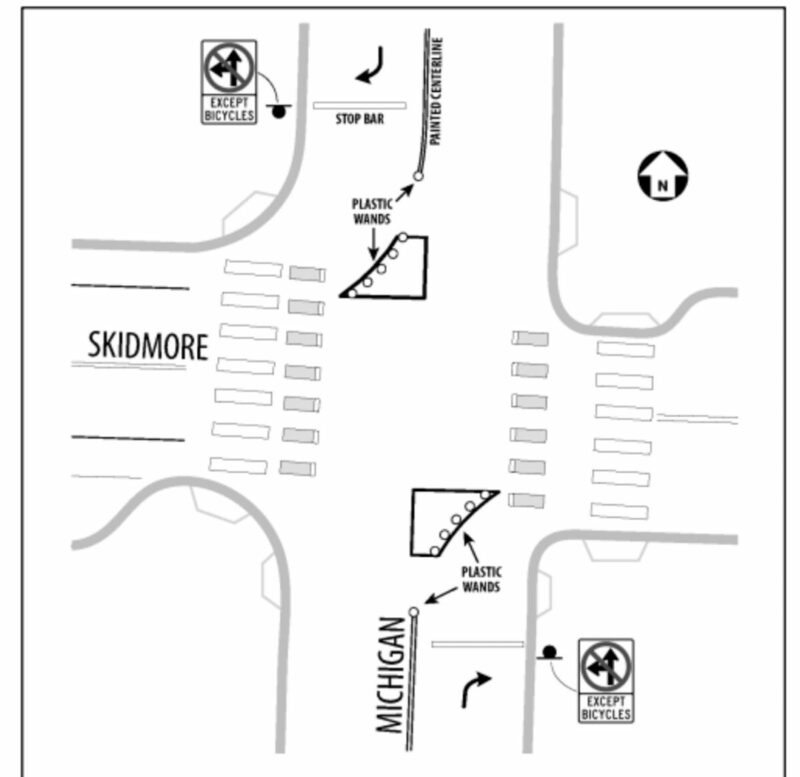 PBOT sketch of diverters proposed for North Michigan at Skidmore. The rising number of people using cars on our neighborhood streets has many negative impacts. Among them are more crashes caused by people who make dangerous moves out of frustration, selfishness, impatience, or all of the above. One way to combat this is to constrain the driving environment so people have fewer choices and are forced to make safer movements. There’s no good reason a road through a residential neighborhood should be this wide. 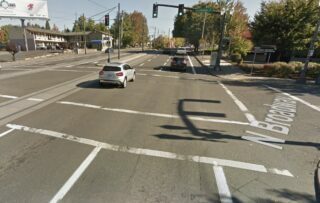 Here’s something new: the Portland Bureau of Transportation is set to invest $1.6 million on an arterial in east Portland before it gets on their list of high crash streets. Portland Parks & Recreation is teeing up two projects that will lead to closures of separate sections of the Springwater Corridor path starting in the middle of May. 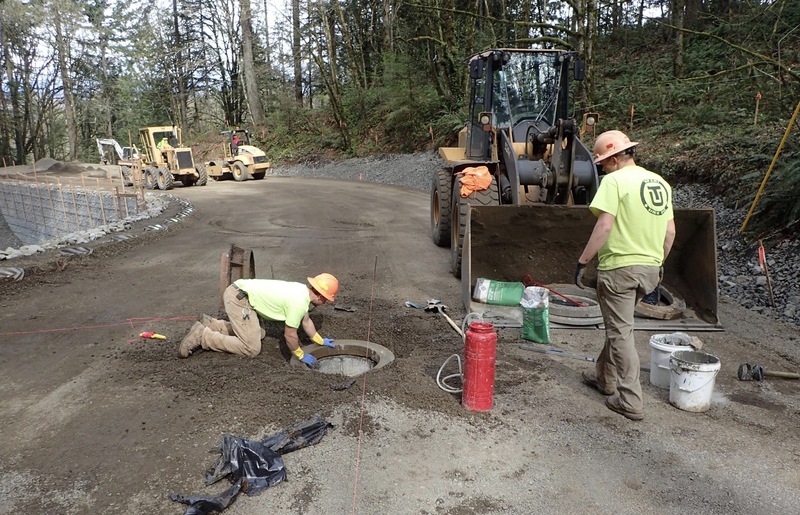 The closures will be between SE 45th and 55th and between Circle Avenue and 174th. 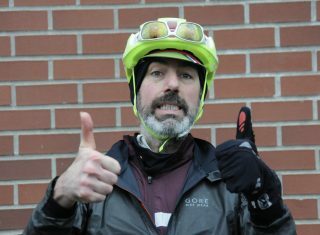 OMTM will head to Bacona Road Sunday. No more fakeouts: Spring has arrived. 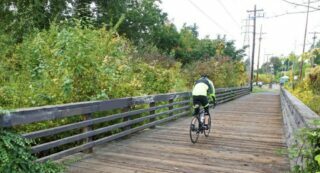 Yes we will have more showers here and there; but temps are set for high 60s/low 70s for at least the next week, so it’s time to ride bikes! We’ve got a great line-up of suggestions this week. 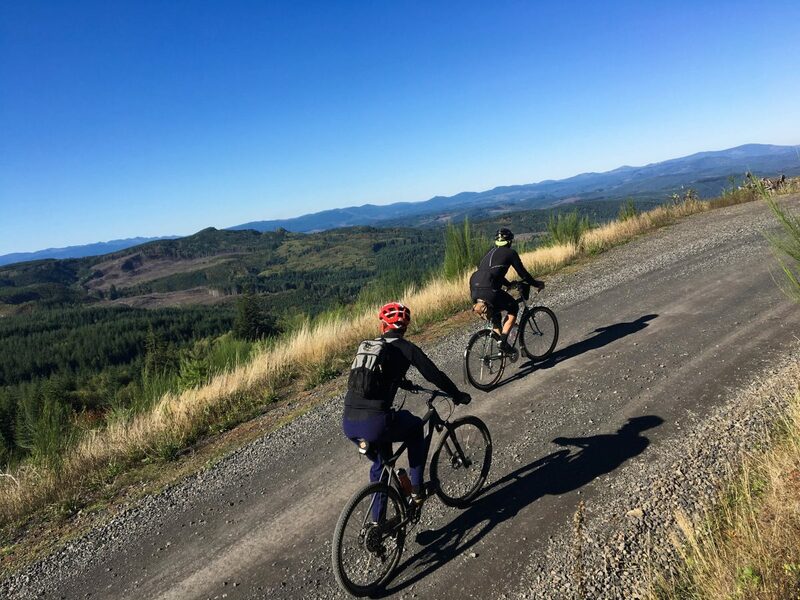 It’s our first gravel double-header of the year with amazing rides Saturday and Sunday. There’s a Spanish-only bike repair clinic, a BMX movie premiere, and more. 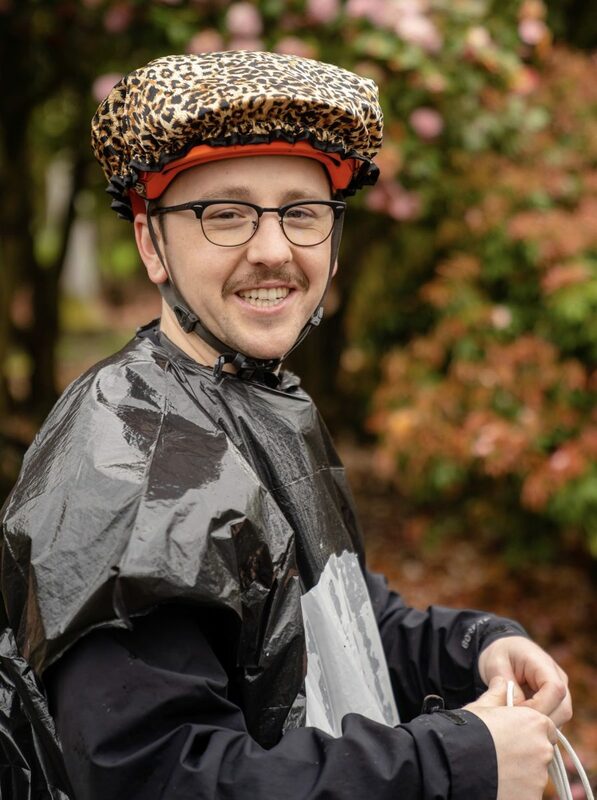 Sun, smiles, and free Biketown? Heck yeah! 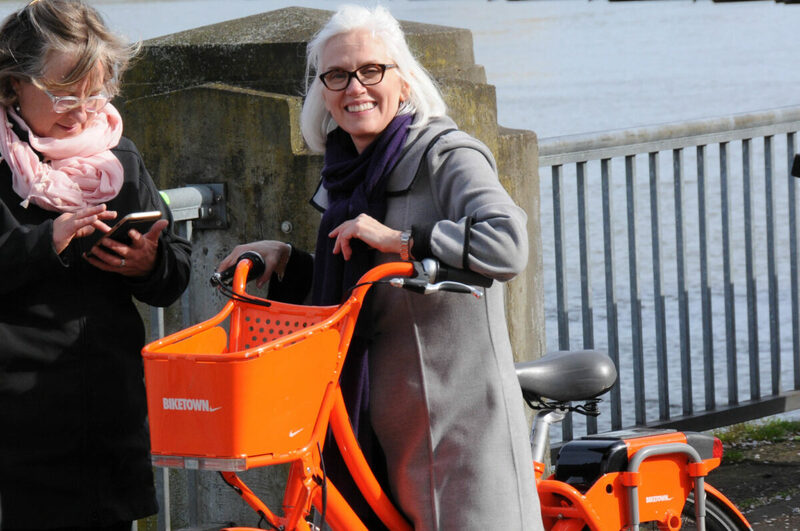 What better way to mark Earth Day than to make bike share free? 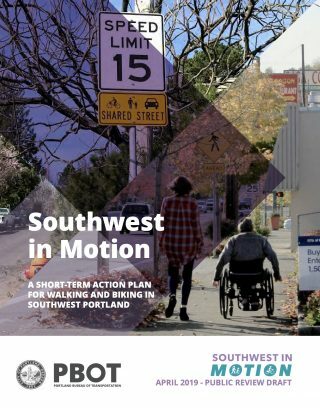 Yesterday the bureau released the draft version of the Southwest in Motion (SWIM) plan. It’s an impressive, detailed, and easy-to-use blueprint for activism that should lead to projects on the ground in very short order (and help tee up larger projects in the future). Modeled after similar planning documents for east and northwest Portland, the SWIM plan offers a prioritized list of projects, possible design treatments, and even identifies potential funding sources to actually get things built. The idea was simple: Codify a network of Oregon’s best cycling routes into state law so that people could access a Cycle Oregon-like experience for free, any time. Getting a charge at today’s launch event. TriMet and their partners launched five new all-electric buses at the Sunset Transit Center this morning. 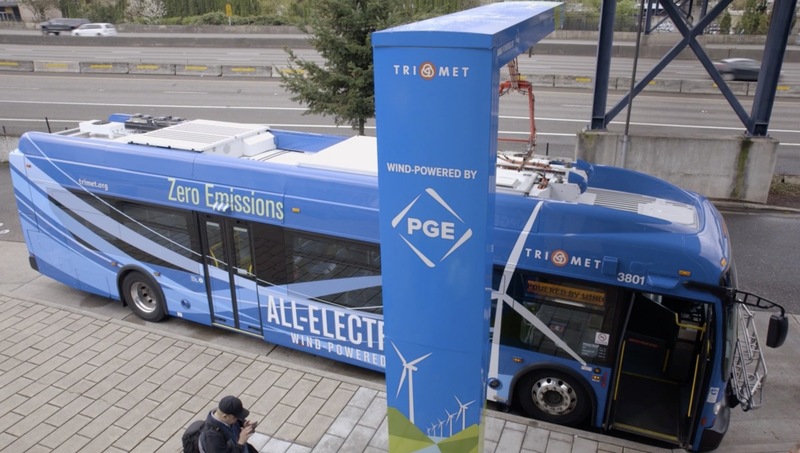 They claim to be the first transit agency in the nation to put fully wind-powered buses into regular service. 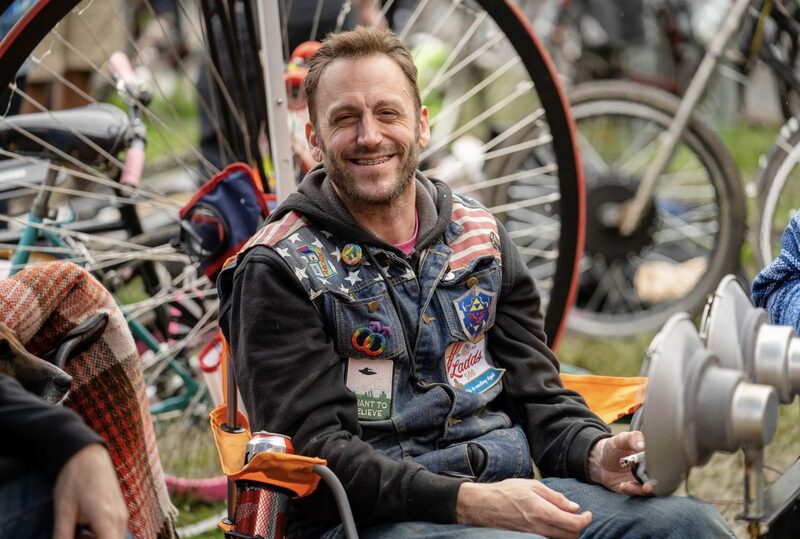 Ryan Francesconi at the 2018 Hell of the North Plains ride. 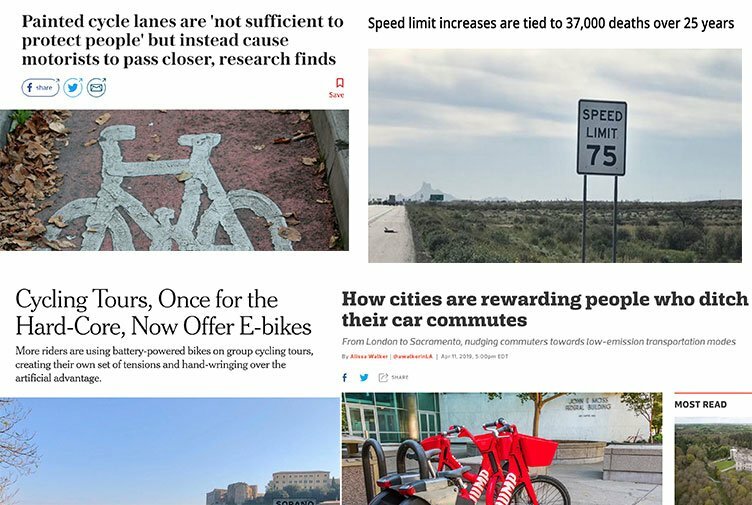 We often think of bike-friendly policies and politicians, or bikeway miles and ridership statistics. But if you ask me, the most important part of what makes a place great for cycling is the people who live in it. 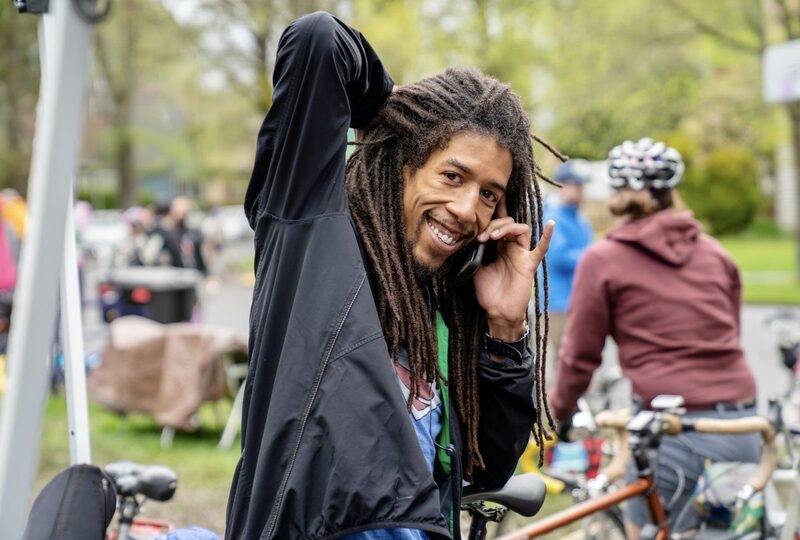 Here in Portland, we’re lucky so many smart, dedicated, selfless, and inspiring bicycle lovers call this place home. Why? Because most of them share their passions with the rest of us. The paint ends, the lanes don’t. Despite confusion from some lawmakers that led to an unexpectedly lengthy discussion prior to the vote, House Bill 2682 passed the Joint Committee on Transportation yesterday by a tally of 7-3. 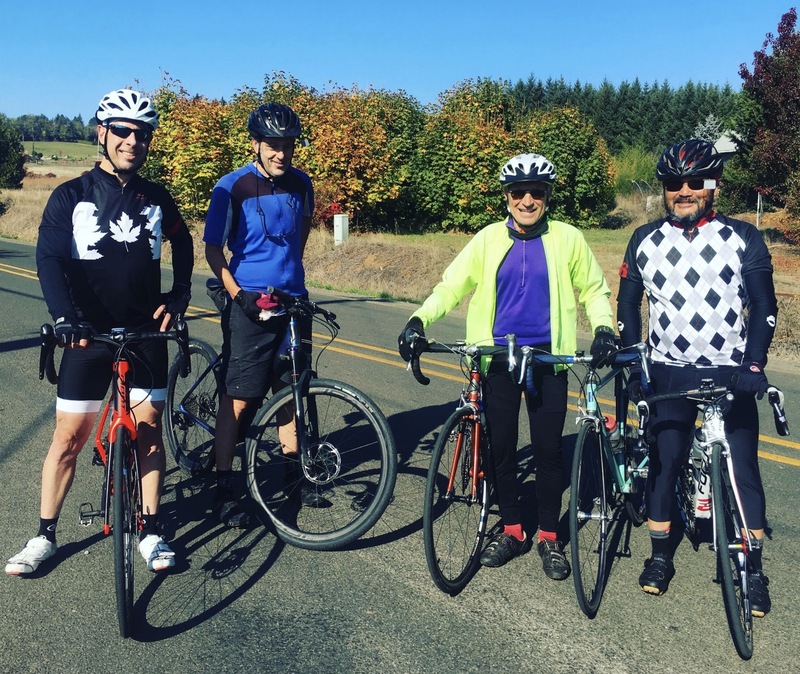 I’ve described this bill as a no-brainer; but because it involves bicycling, you just never know what some Oregon legislators will get hung up on. I was amazed at how much consternation and discussion this simple housekeeping bill received in committee yesterday. 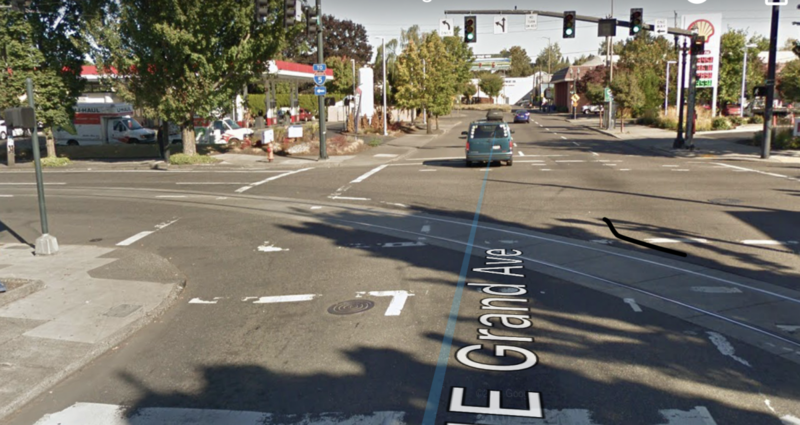 Let’s be clear: Since bike lanes have existed in Oregon, it has been understood — both by road users and the legal system — that they exist inside intersections even though they are not painted. Same for every other lane. Road authorities do not paint lane lines in intersections because with all the turning movements it would be a maintenance nightmare, dangerously confusing, and useless. 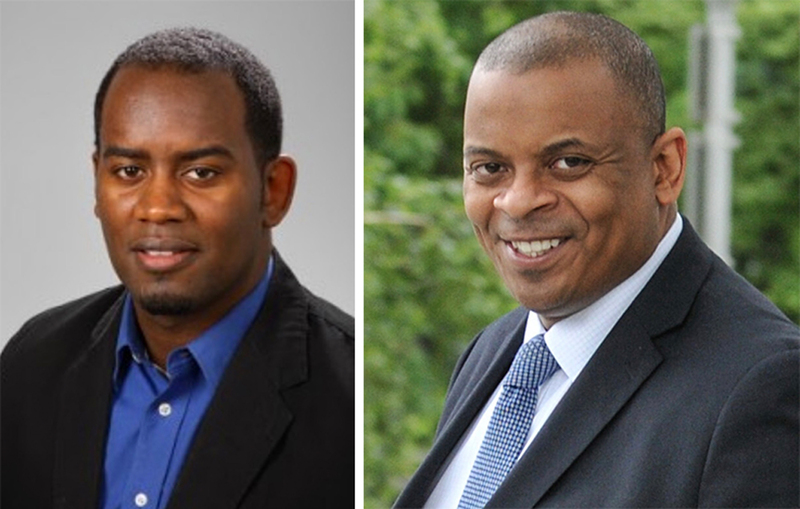 Charles Brown (L) and Anthony Foxx will deliver keynote speeches on April 25th. 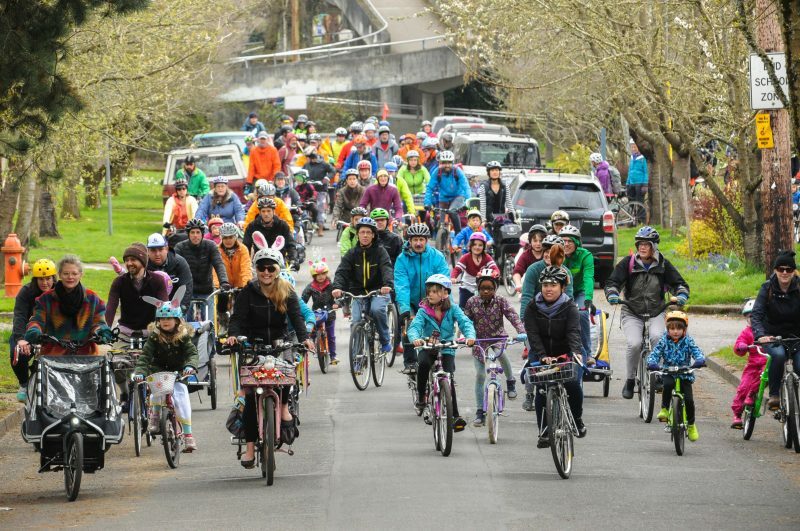 The Oregon Active Transportation Summit will take place April 24th through the 26th at the Oregon Zoo. The annual conference is organized by The Street Trust and features a full slate of mobile workshops, plenary sessions, professional training, and networking opportunities. Headlining the summit’s main day — Thursday, April 25th — will be a noted researcher and a Cabinet Secretary for former President Barack Obama. Former Charlotte, North Carolina Mayor Anthony Foxx spent four years as Obama’s Transportation Secretary and as of last October works for Lyft as their chief policy officer. Foxx visited Portland in 2016 as part of the US Department of Transportation’s “Smart City” initiative. 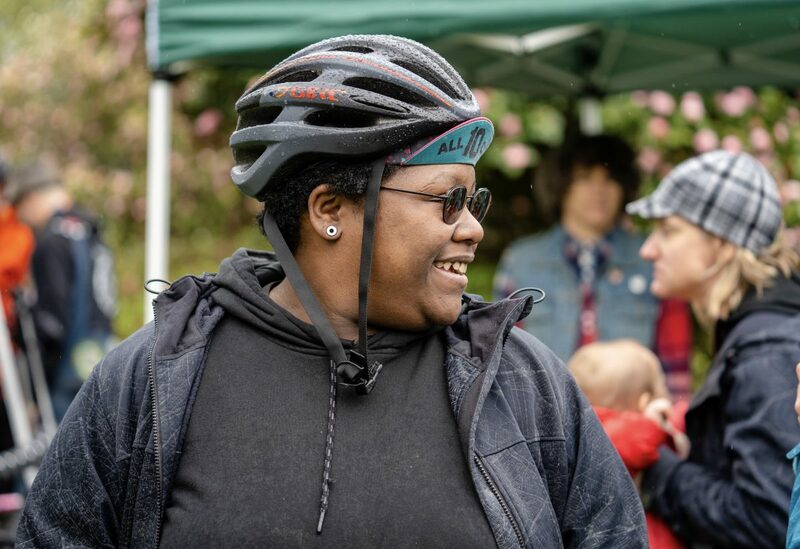 Among the topics of Thursday’s breakout sessions are: Voices From Williams Avenue; Designing Safe Streets for Pedestrians of Color: The Intersection of Equity Engineering and Vision Zero; Inclusive Bike and Scooter Share; Creating Bike Networks; Let’s (Not) Talk About Congestion; and more. After a day of interesting keynotes and sessions, The Street Trust will host a Pecha Kucha event at Rock Bottom Brewery. Unwind with friends old and new as you listen to a series of short and stimulating presentations on a variety of transportation-related presentations. Register for the event and view the full schedule here. 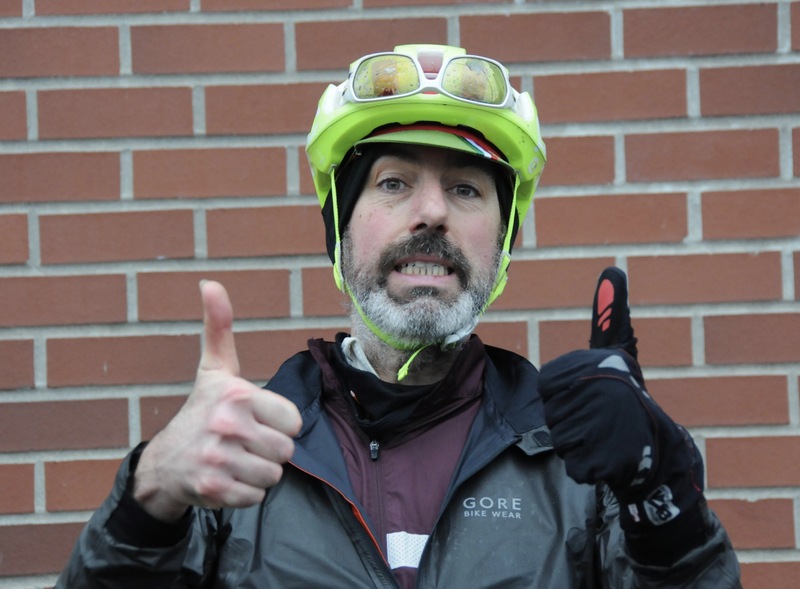 Part race, party relay, part party: The Ladds 500 is quintessential Portland. 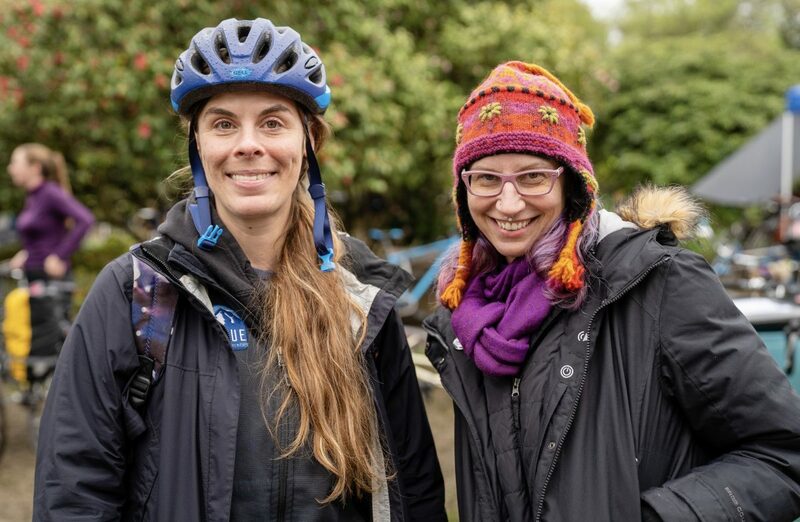 A neighborhood bike shop in the Hosford-Abernethy neighborhood will close its doors next month after over a decade in business. 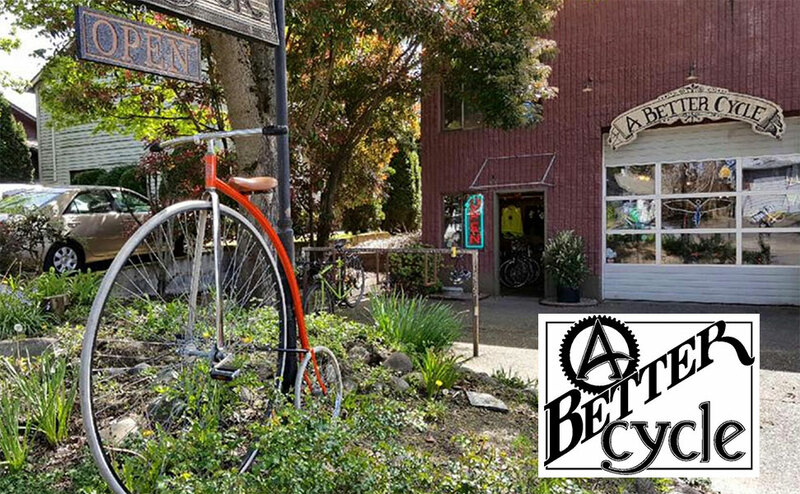 Owners of A Better Cycle announced their decision last week. This week’s Monday Roundup is sponsored by Ride Like a Girl Cycling, who invites you to their ‘Coastal Delight’, all-inclusive training camp for beginner riders: May 20-22 in Pacific City on the Oregon Coast. Here are the most noteworthy items we came across in the past seven days. Crews install a manhole on NW Newberry Road on April 3rd. As our community continues to grapple with a spate of deadly and serious injury collisions, much of the discussion in the past few days has focused on enforcement. It’s an important topic that deserves a productive debate.